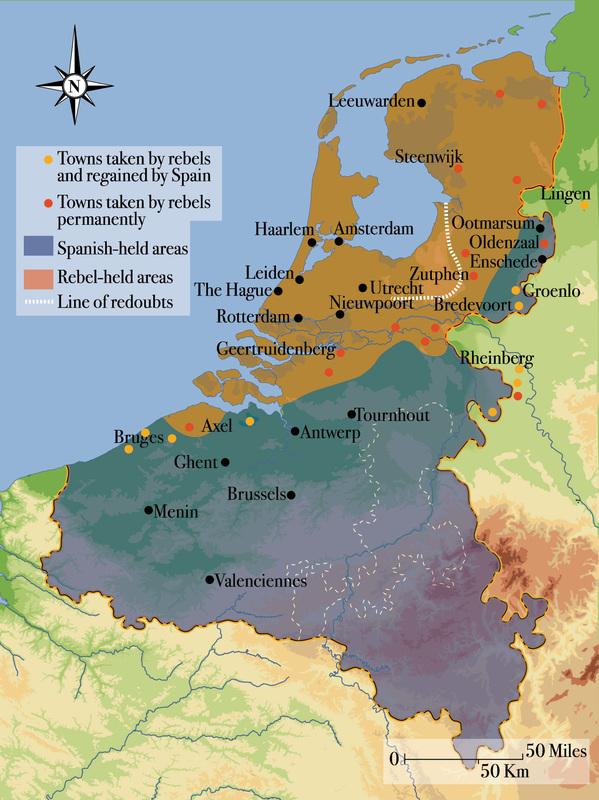 The Duke of Alva’s campaign against the second uprising culminates in the sack of Antwerp. 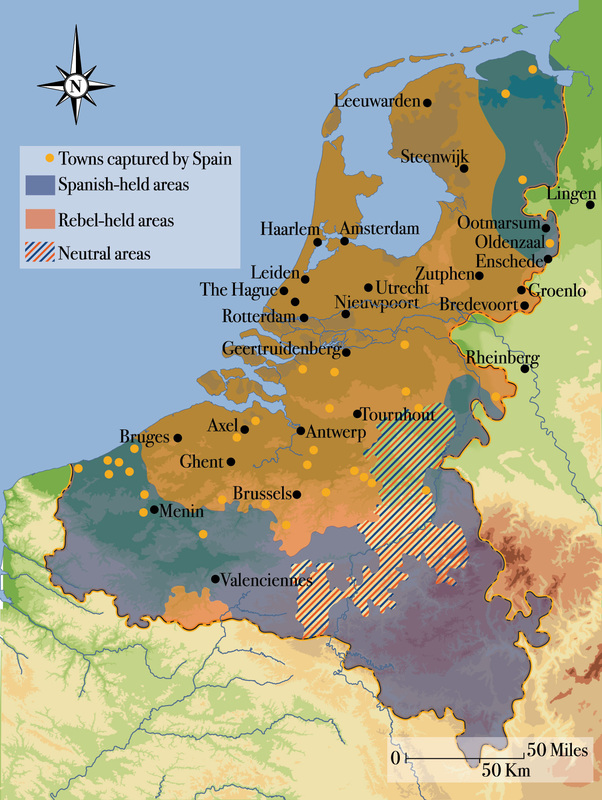 During several days of ‘Spanish Fury’ a er the capture of the city in November 1576, 1,000 houses are destroyed and 8,000 people are killed. Military terror defeats the Flemish movement, and restores Spanish rule in Belgium. 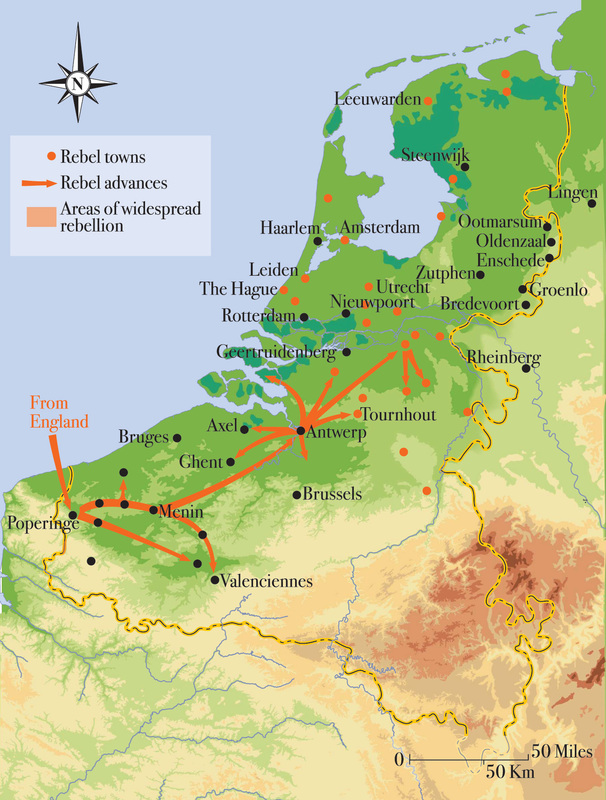 The Earl of Leicester leads an English army of 6,000 men to Holland. 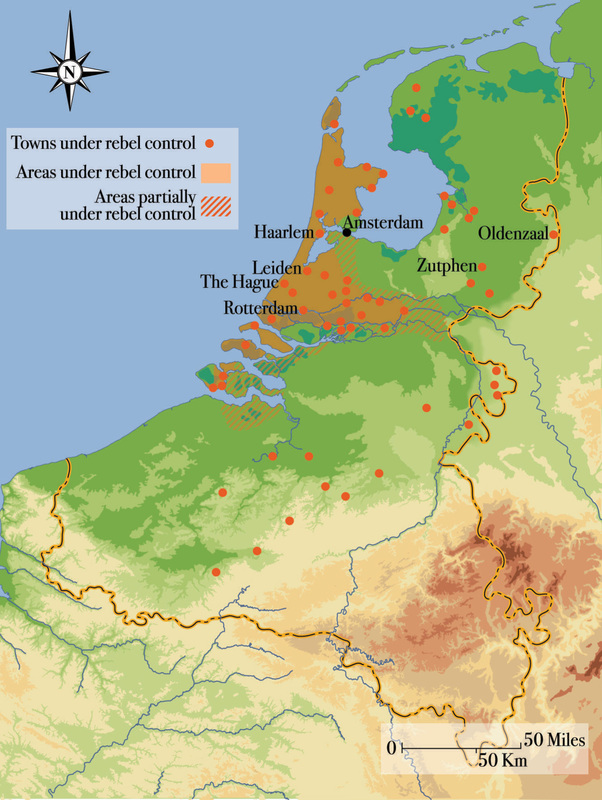 Though Leicester is granted almost dictatorial powers by the Dutch States-General, he performs badly, failing to take Zutphen. A er his death (1586), the main English army withdraws (1587), but contingents of English volunteers and mercenaries continue to serve. These play a major role in the campaigns of Maurice of Nassau.